North America more in "Del Mar"
Top New Hotel and Top New Spa, Condé Nast Traveler's coveted "2008 Hot List"
Best Local Hotel and Best Gala Venue, Ranch & Coast "Reader's Choice Best of 2008"
Embracing the creative and rejuvenating spirit of the Renaissance, The Spa delivers a sublime experience of relaxed, renewed and restorative wellness. Reflecting Director and Executive Chef Bradley's refined style, menu highlights include entrees with intense flavors and simple, yet masterfully combined ingredients. 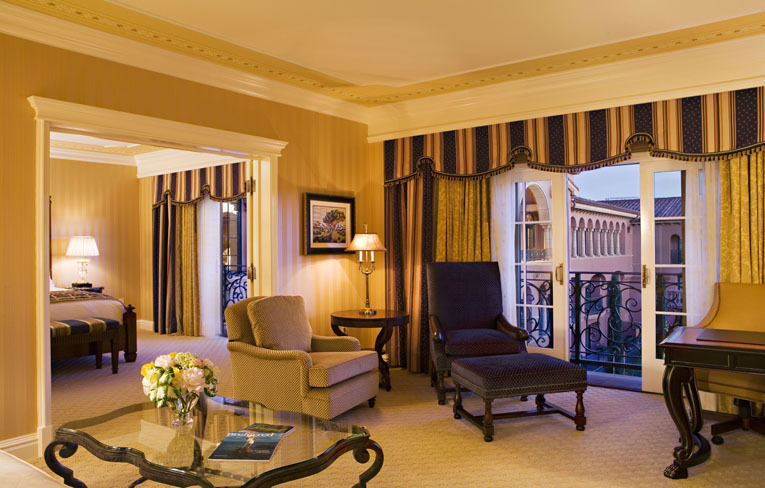 This premier San Diego resort destination seamlessly combines the old-world charm of a Mediterranean estate with the modern luxury of an elegant resort. Thanks to San Diego's renowned climate, you can play golf year-round on the private rolling greens at The Grand Golf Club. A destination unparalleled by San Diego hotels and lauded by Condé Nast Traveler as one of the "World's Best Places To Stay". Little wonder, given the sun-drenched climate, stunning natural beauty, championship golf course and irresistible dining. 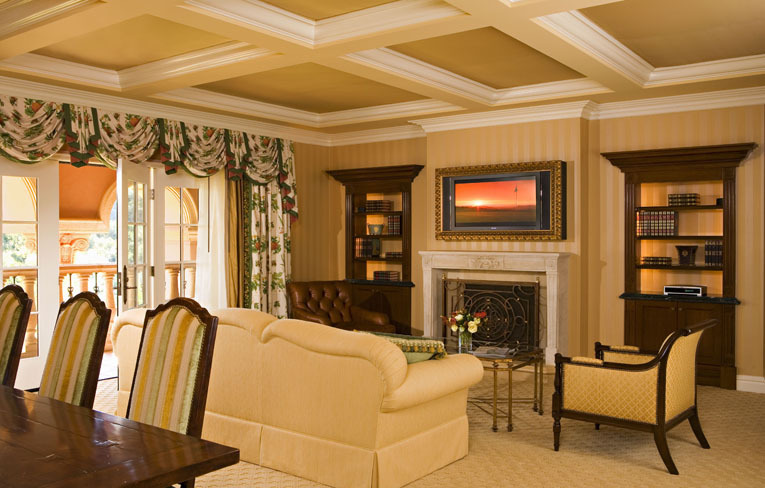 The Grand Del Mar, a luxury San Diego golf and spa resort, is comprised of 249 thoughtfully appointed guestrooms and suites, each with its own stunning view of either The Grand Golf Club or Los Peñasquitos Canyon Preserve. 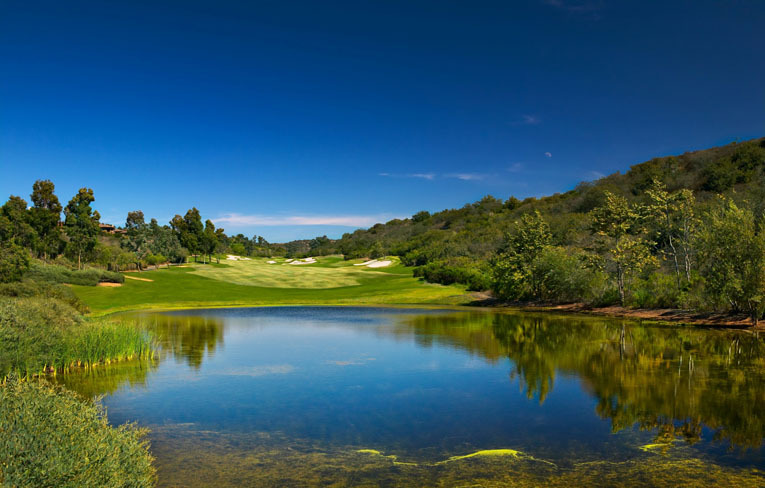 With stunning Los Peñasquitos Canyon as his canvas, Tom Fazio created a masterpiece of dramatic elevations, diverse bunkering and lush fairways. Graced by Pacific breezes from the nearby coast, and awash with Southern California glow, The Grand Golf Club is San Diego's premier golf resort. 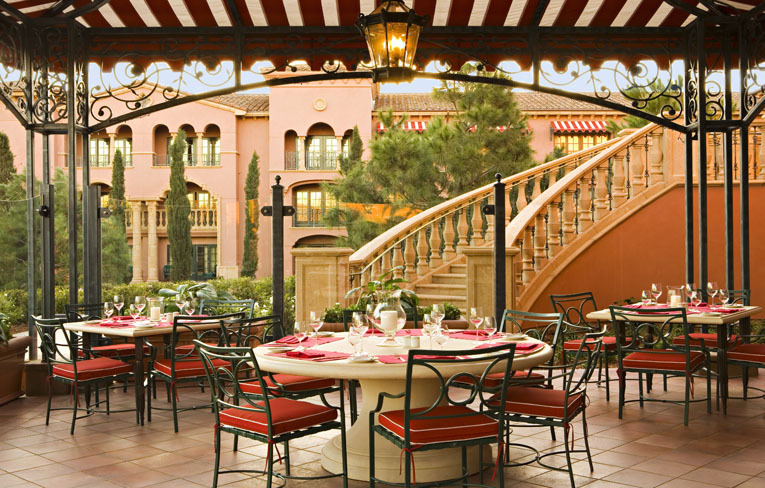 The Grand Del Mar's signature restaurant, Addison, features Relais & Châteaux Grand Chef William Bradley's artisanal approach to cooking, combining local ingredients with contemporary French influences. 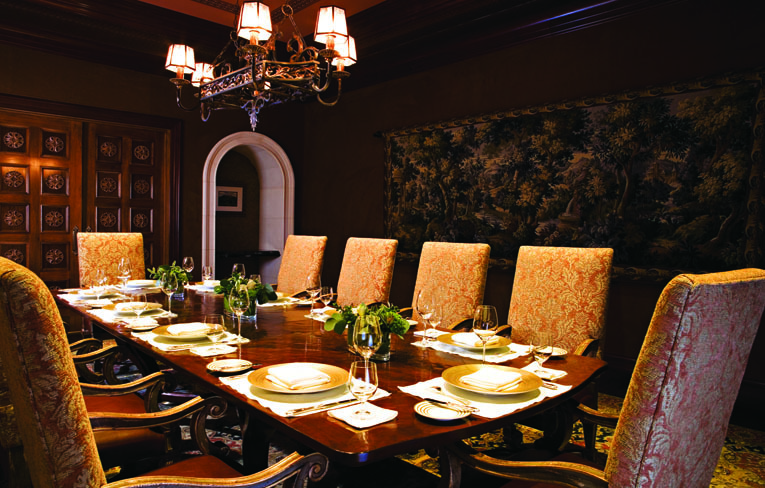 A seasonal menu offers an inspired evening of culinary expertise. The wine room, strategically located in the center of the main dining room, punctuates the importance of Addison's world-class wine tasting environment, replete with ideal glassware, perfect storage of wines and knowledgeable service. 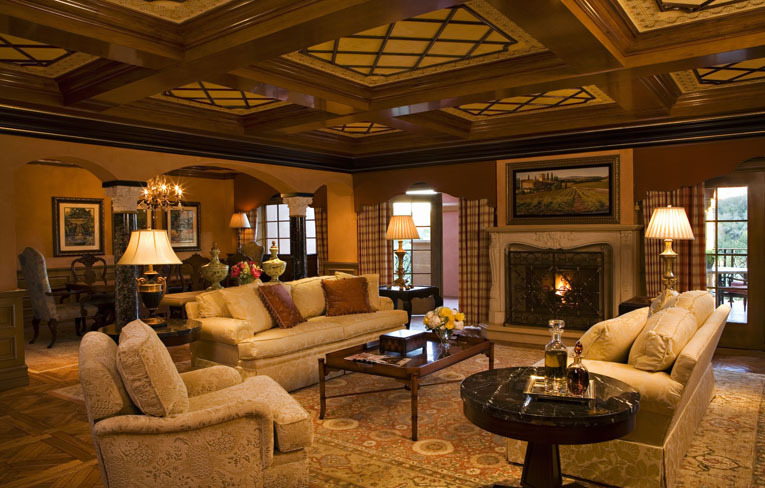 Set amidst the breathtaking Los Peñasquitos Canyon Preserve, this 249-room luxury San Diego resort captures the elegance and comfort of an old-world Mediterranean estate with the advantages of a Southern California locale. 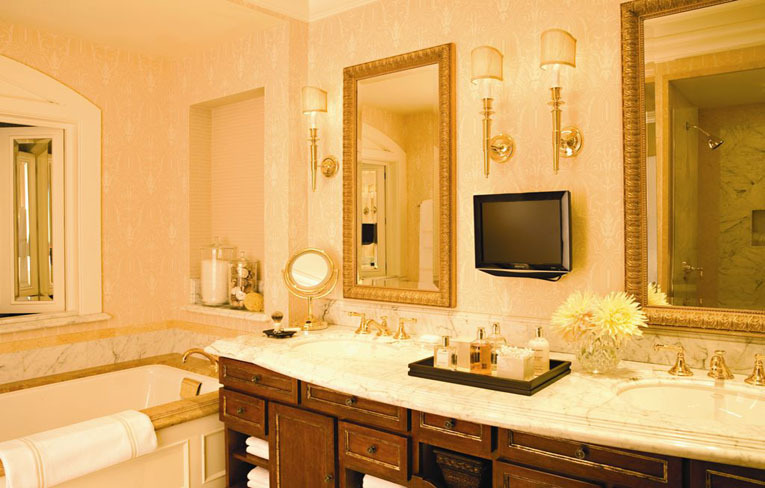 The Grand Del Mar's design honors the indelible style of visionary architect Addison Mizner (1872 - 1933), who drew his inspiration from Spain's palaces, France's sun-washed coastal retreats, and Florence's decorative arts, to define the resort communities of Palm Beach and Boca Raton. 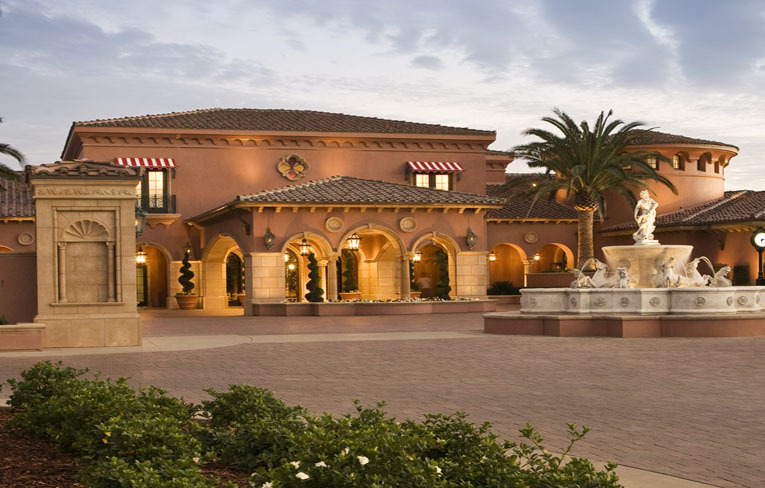 With stunning views of The Grand Del Mar's Mediterranean-inspired architecture and pristine golf course, you'll forget you're actually dining at a San Diego restaurant. Let Amaya whisk you off to the coasts of Spain, Italy and France, as you enjoy breakfast, lunch or dinner on the shaded terrace or within the relaxed yet refined dining room.